I liked this book, but not in the conventional way. I wouldn’t say I enjoyed reading it, but it did have a massive impact upon me. I found myself rolling my eyes quite a lot whilst reading the book, when he spoke of “running on broken legs” and having “double pneumonia”. I’ll give him the benefit of the doubt, but at the time, I thought these were exaggerations; the type of thing my mum would say if she stubbed her toe and had a chesty cough. To be fair to the author however, he is recognised as one of the greatest endurance athletes in the world, with a world record in pull ups to his name. So maybe he did actually run on completely broken legs. As he would (probably) put it – ‘he’s one bad mother f*cker’ – and the only man to have ever to have completed the training in Army Ranger School, Navy SEALs ‘buds’ and the Air Force Tactical Air Controller program. I would add however, that he really should learn go into situations better prepared! I don’t want to add any spoilers, but if you read the book – you’ll see what I mean! The book introduces us to David’s early life, working at his dad’s bowling alley. He talks about how abusive his dad was and how he was racially abused during his school days in Brazil, Indiana. There’s some fairly traumatizing and horrific things that happened to him, but the takeaway message is that he managed to get ‘better, not bitter’. He’s also had some major health scares, including having a heart-problem that he describes as a “hole in the heart” and sickle-cell-trait. A big chunk of the book talks about “buds” the Navy Seal selection & training, and then training for different elite forces in the Navy and the Army. Despite my cynical attitude towards the book initially, mr G. has definitely had a positive impact upon my attitude since reading it. In Stoic philosophy they speak of how suffering is the only way to build character. I love Stoic philosophy, so when David speaks of callusing the mind with suffering and feats of endurance, I found myself nodding my head along with him. – we automatically take the path of least effort and of least resistance. Seeking the path of most resistance and getting out of the routine(s) we’ve been stuck in for years, is a sure way of changing your life. 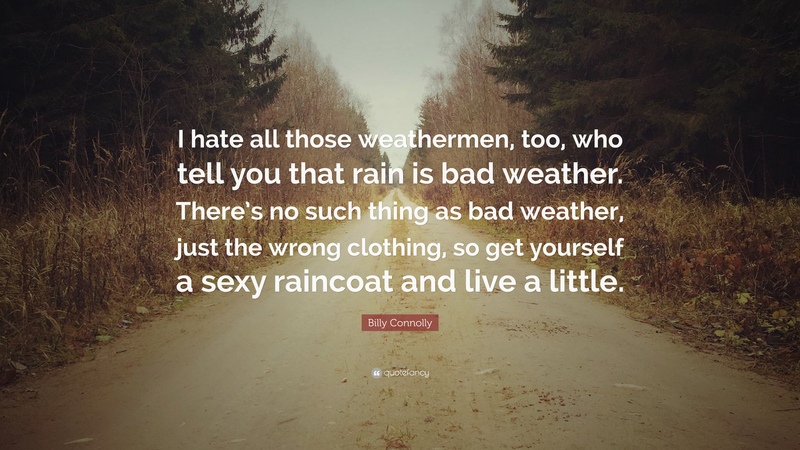 – when I’m exercising, or even having an ice bath, I try to remember this. When I start feeling like I want to give up, I remind myself that I’m only 40% near my maximum. The guy is tenacious too. He failed his pull up world record attempt not once, but twice. The guy is 6ft 1 and 200lbs, completely the wrong body type for bodyweight exercises – but that didn’t stop him. Amazing guy. Nuts, but amazing. I always look at any kind of suffering as training now too. Man flu, being cold – it’s all part of developing character. This is definitely a life changing book, even if I didn’t fall in love with all the macho-ness of it. I’d recommend it though, although you may have to take it with a pinch of salt. I like to mix up my reading material. Some hippy stuff from Ram Dass, some Stoicism and now and again, a modern book like this. I hope it will eventually make me quite well-rounded! Based on the fact that I’ve started training hard in the gym again and I’ve taken several of his concepts and integrated them into everyday life. I would not try and copy David Goggins’ path however, I still feel he has a way to go on his ‘journey’. Training and exercising to the point of nearly killing yourself (in some instances) it’s just stupid. In my opinion. But you can still learn so much from the author, even if 5% of his toughness rubs off on the reader. Incidentally – if you like David Goggins, I’m pretty sure you will like Jocko Willink too. He’s a bit more easy for me to relate to anyway. A very small amount of Kava Kava in the evenings, then 20 minutes of infrared light on the back of my neck, is now part of my daily routine. This appears to have prevented my neck becoming stiff & sore. I also stretch my neck every time I go to the toilet in work. Sorting out my neck, also seems to have reduced my anxiety quite significantly. Ah, the office worker’s & the wrestler’s chronic ailment – a stiff neck. The stiff neck is underrated in its ability to ruin your day. It often leads of headaches and can definitely put you in a really terrible mood. Jokes aside, physical issues such as an injured neck, can cause mental health problems. I kid you not. This study on whiplash for example, suggests some people may have depression for several associated reasons – including neck injuries. Not conclusive evidence but from experience, I think there may be some truth to the theory that neck injuries make you miserable. I mention this, because the one time that I had whiplash, I also had bad anxiety afterwards, along with headaches and bloodshot eyes – for several months. As I worked out how to treat my neck, my mood improved and the headaches went away. Anyway, enough of the preamble, here’s some ways to treat a stiff neck. Any application of heat, should help with a muscle spasm. In fact, after my car crash, I found that applying a hot water bottle to my neck whenever possible, was very helpful. I completely forgot about this when I made the video above. From what I understand, infrared light penetrates relatively far/deep into a muscle, causing it to relax more than is normally possible with a normal sauna, bath or other application of ‘conventional’ heat. The last time I injured/hurt my neck was about 2 months ago. I couldn’t sleep and even got a prescription for codeine, even though I’m normally against any pharma-pain-killers. I had tried hot baths, but the relief was only temporary. Then I tried an infrared lamp on my neck (with magnesium oil rubbed it before use), and my mood instantly lifted, as the stiffness in my neck subsided. My neck/lower trapezius was still painful, but I’d regained full range of motion. As I write this, I’m currently using an infrared lamp on my neck. I bought it from Amazon.co.uk and would recommend it for muscle-spasm-related neck pain. Infrared lamps & saunas have been shown to have a wide range of health benefits. They are great for stress & anxiety, as they are able to activate the parasympathetic nervous system (study-reference). A TENS machine is an interesting device. They’re similar to those old electrocuting and are used as an alternative form of pain relief during child birth. They can also help to remove muscle spasms. Pretty good for the pain, but this alone, didn’t get rid of the stiffness & spasm in my neck. One of the most underrated supplements, it’s estimated that around 50% of Americans are deficient in magnesium. Important for muscle relaxation in general, supplementation has been shown to treat insomnia, depression & anxiety. So back to the neck issues – magnesium is one of the best (& safest) muscle relaxants. The potency appears to differ massively between forms of magnesium & manufacturers. Glycinated forms of magnesium are generally recommended for muscle stiffness/spasm, taken at night. Kava Kava has been really effective for me. I’d recommend it as one of the go-to treatments for any muscle spasms or pain. It’s not legal in Europe however, although I have seen it on ebay a few times. DO NOT MIX KAVA KAVA with Alcohol – you’re asking for liver failure. I have found kava kava is excellent for a stiff neck. I have a small amount most evenings and then use my infrared lamp on my back & neck. This particular practice was designed to release tension in the muscles surrounding the spine. It’s pretty low-intensity, but be warned that lots of people report hallucinating after doing Kundalini Yoga (including my wife & I). PNF stretching involves tensing the muscles for 30 seconds (or resisting/pushing with a specific set of muscles), and then relaxing & stretching immediately afterwards. This requires a foam roller or preferably a ball, like a cricket or lacrosse ball. Lie on the floor and place the ball underneath the tight muscle. Then just lay back and put pressure on the ball for 30 seconds to 1 minute. This (sometimes) takes the spasm out of the muscle. I’ve found that I can do lots more reps using the combination of Wim Hof Breathing and a Hot Bath. DO NOT DO THE BREATHING TECHNIQUES in the bath. People have died from passing out in water whilst doing this. Very bad idea! Make sure that you don’t feel dizzy or lightheaded before getting in the bath or doing the chins. 30 Deep breaths in, with 30 ‘small’ breaths out. Breathe in using the stomach muscles and then the chest muscles, taking in as much air as possible, then breath out ‘normally’ to reset your stomach to breathe in again. After the 30 breaths, hold the final breath in for as long as possible. Holding the breath for as long as possible will cause a release of adrenaline which will literally make you stronger. Finally, when you can’t hold your breath any longer, breathe out, then one last time, take a big deep breath in and hold for 15 seconds. Do this then afterwards, get in the bath and make sure your muscles are hot and you start to sweat somewhat. This works for me, but I can’t find much evidence to say that hot water immersion actually improves strength or power. There are some studies showing that muscle temperature may improve power output, but the majority of modern studies seem to show no effect. The influence of muscle temperature (Tm) on maximal muscle strength, power output, jumping, and sprinting performance was evaluated in four male subjects. In one of the subjects the electromyogram (EMG) was recorded from M. vastus lateralis, M. biceps femoris, and M. semitendinosus. Tm ranged from 30.0°C to 39°. Maximal dynamic strength, power output, jumping, and sprinting performance were positively related to Tm. The changes were in the same order of magnitude for all these parameters (4–6%× C‐1) Maximal isometric strength decreased by 2%× C‐1 with decreasing Tm. The force‐velocity relationship was shifted to the left at subnormal Tm. Thus in short term exercises, such as jumping and sprinting, performance is reduced at low Tm and enhanced at Tm above normal, primarily as a result of a variation in maximal dynamic strength. Depression is often a symptom of a physical illness or issue. Gut problems, chronic inflammation (often starting in the gut), allergies, brain injuries, thyroid issues – these are all problems that can cause depression. Whenever possible, address the physical cause, rather than the symptoms of depression. Many of these supplements are also effective for MMA recovery and for enhancing physical performance. 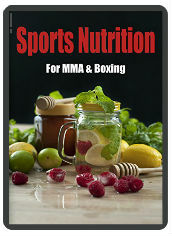 For more specific information on supplements for combat sports such as MMA, see my boxer’s diet article here. One of my favourites, Acetyl L Carnitine, often referred to as ALCAR, is a potent supplement that enhances cognitive function, increases male fertility and in many can reduce or eliminate symptoms of depression. Start with a low dosage (500mg) and assess your tolerance, it can cause gut problems. Works within 15 minutes. Also great for energy and awareness. Make sure to get the Acetyl version, as this can pass the Blood Brain Barrier whereas normal L-Carnitine can not. Omega 3 is crucial for cognitive health and wellbeing in the short, medium and long-term. There is a modest amount of research suggesting that fish oil might help people who are suffering from depression. Phospholipid forms of Omega 3 have been recently touted as a potential treatment/way to ward off degenerative brain diseases. look for a high-quality omega 3 supplement, with a relatively high EPA content. Fish oil is also a strong anti-inflammatory. Inflammation is often a pre-cursor of mental health issues. Magnesium is fantastic for muscular-relaxation, it has also been shown as a potent supplement to treat both anxiety and depression. Chelated forms of magnesium, for example, magnesium glycinate are generally thought to be superior and more bioavailable than other forms of magnesium. This stuff made me feel terrible. It works with serotonin in some respect. Perhaps it works better if your depression is caused by low levels of serotonin in the first place. A precursor to Tryptophan, 5 HTP is great for sleep, depression and anxiety. There is some evidence that 5 HTP taken long term can cause issues with your heart. Lack of sunlight can cause depression. In countries such as Norway, it’s a big (and well recognised) issue. Supplementing with Vitamin D3 (ideally with vitamin k2) is a good idea for most people who work indoors. SAD Lamps can also be an effective way to increase energy levels and ward off depression during the winter and all year round if you work indoors. Obviously these aren’t supplements so I won’t go into too much detail…however, saunas (and ice baths) have gained a lot of attention in recent years thanks to the mental and physical health benefits that they can provide. Exercise is crucial for the cardiovascular system, the lymphatic system, for self esteem and the overall functioning of your body and mind. Diet is a crucial factor in terms of mental health. Inflammation and gut issues are often linked to and can even cause depression. Eating a diet that is free from inflammatory foods such as sugar, and high in anti-inflammatory foods such as turmeric can make a huge difference. 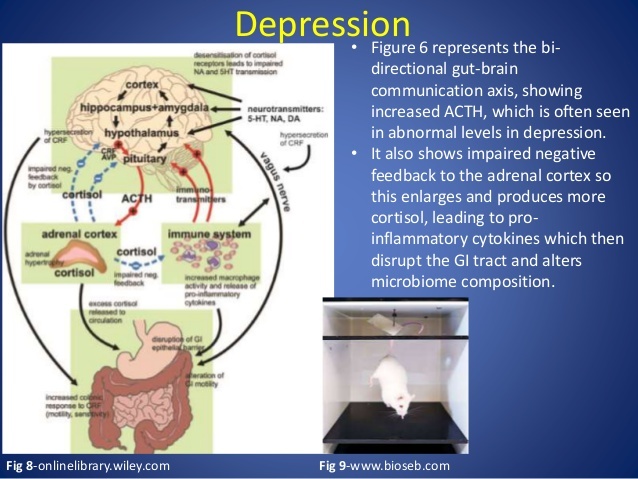 Any exercise, food or supplement that reduces inflammation and/or improves gut health will improve or help with depression – in the majority of cases. The ketogenic diet is also very effective but may not suit everyone and makes you feel terrible for the first 2 weeks or so (unless you use exogenous ketones). The targeted ketogenic diet may also be worth looking into. Food intolerances and ‘leaky gut’ can also lead to inflammation. If you have IBS or any other gut issues, it might be worth looking into, reducing or cutting out dairy and possibly wheat. Giving up dairy was life-changing for me. There’s a growing body of research, that suggests that psychedelics such as psilocybin mushrooms (magic mushrooms), in the right setting, can be highly effective as a treatment for depression. High-dose psilocybin produced large decreases in clinician- and self-rated measures of depressed mood and anxiety, along with increases in quality of life, life meaning, and optimism, and decreases in death anxiety. At 6-month follow-up, these changes were sustained, with about 80% of participants continuing to show clinically significant decreases in depressed mood and anxiety. Participants attributed improvements in attitudes about life/self, mood, relationships, and spirituality to the high-dose experience, with >80% endorsing moderately or greater increased well-being/life satisfaction. An If-This-Then-That style approach to grappling. Keep elbows tucked and hands ‘inside’ when establishing position to avoid kimuras & triangles. something to try – if you bridge and guy is kind of dangling to your side but still has mount, try and bridge again but go all the way over and give your back – then forward roll immediately or pop up into a tripod/down dog position. Escapes are similar to side control. Avoid an underhook and a ‘head-squish’ by keeping your arms in. *Don’t get pancaked/flipped with an underhook. If you do get flipped over – go with the momentum and flip again. If your far grip is on the inside of the legs, rotate towards that hand/grip. Keep pulling with other grip. Cross face an opponent with elbow/forearm or ideally, shoulder. Counter elevation – cross legs! 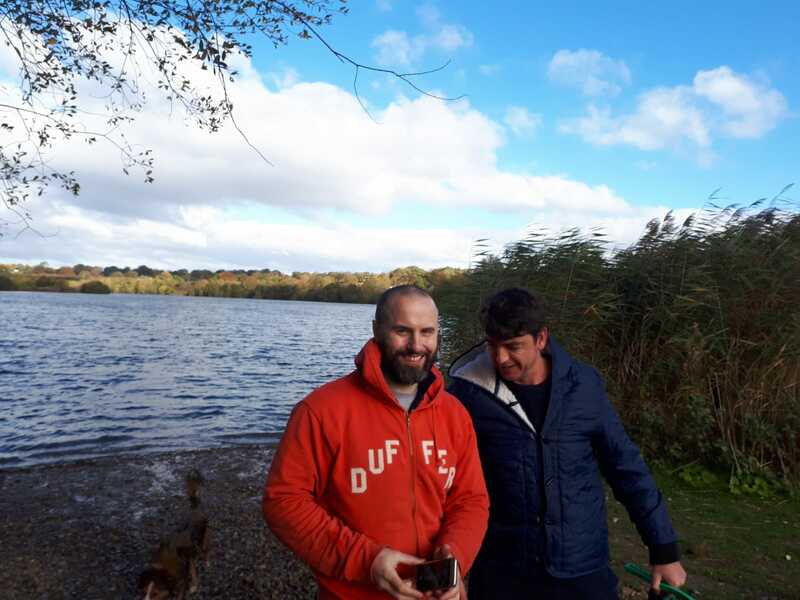 Wrexham is Beautiful – Really! A lot of people complain about Wrexham, but we’ve got a lot to be grateful for. If you don’t like living in this beautiful part of the country, it’s because you’re not making the most of it. Yes, the ‘functional’ town centre has a few problems, but there are dozens of stunning local villages which make up the county of Wrexham. There are opportunities in terms of jobs for everyone from computer programmers to tradesmen and everyone in between. The house prices are also pretty reasonable too. We don’t appreciate how beautiful North Wales is. But go live in the city for a couple of years and you’ll soon appreciate all the trees, fields and greenery that we take for granted in Wrexham and the rest of North Wales. There’s amazing scenery to be found in all the surrounding villages and towns of Wrexham, as well as Flintshire & Denbighshire. The vast majority of villages within the county of Wrexham have their own scenic walks and routes, although a lot of them are not well known. Steeped in history, if you have an appreciation of architecture then each village has its own iconic buildings. Check out Wynn Hall in Pen Y Cae for example. The town is surrounded by beautiful villages including Overton & Erbistock. There’s even a Roman fort and Farmstead on the Wrexham/Flintshire border, in Hope. Built in 1805, the 18-arch aqueduct is a marvel of architecture and people literally come from across the World to visit. There’s a lot of history behind this industries town. Whilst Manchester, Liverpool & Chester reside to the east of Wrexham, to the West is a range of beautiful mountains, beaches and National Parks. Named in the Top 5 Regions in the World to visit by Lonely Planet in 2017, North Wales offers the traditional & historic sites of castles, mountains and lakes, combined with modern attractions including Surf Snowdonia and Zip World. North Wales also has a number of the world’s Dark Sky Reserves. If you don’t like beautiful country scenery, Chester is just a few miles down the road. You can go shopping or just take a stroll in one of the most beautiful walled cities in the country. Plus there’s loads of Roman stuff to look at. Wrexham is home to one of the biggest industrial estates in Europe. Home to dozens of companies, both large & small, the estate provides jobs to thousands of Wrexham residents. Chester Business Park is also located within 5 miles of Wrexham & Airbus is a huge employer, based 10 minutes from Wrexham in Broughton, Chester. Basically, there are lots of jobs to be had if you live in Wrexham. Considering the strength of the local economy, house prices in Wrexham are reasonable. The average house price in Wrexham in 2018 was £157,000, whilst the UK average was just over £226,000 (source). Take another beautiful part of the UK – Dorset. The average house price there is £347,000! (source). A lot of people travel for hours to London, just to earn a living and afford the price of a house in that county. This is often overlooked but definitely something to be grateful for. If you live down south, especially in an area as rural as the outskirts of Wrexham, you’ve got little chance of living locally and being able to afford a decent gaff. Anyway, if you don’t like Wrexham, there are 2 airports within an hour’s drive, Chester is only a couple of miles from Wrexham, and Liverpool & Manchester are both under an hour’s drive away. There’s beautiful scenery, countryside and beaches to the West of Wrexham and historic yet high-tech cities to the East (Manchester is the tech-hub of the North). One more thing that you won’t get in many larger cities is the ‘strong’ local communities. I can’t vouch for other places in the Wrexham area, but the community in Hope is pretty cohesive & amazing. It’s all about how your frame it. It’s very easy to pick out the negative points about Wrexham, but with a little effort it’s even easier to see how amazing the county actually is! Stop watching TOWIE, get off your arse and go explore! A lot of the places pictured are from areas that border Wrexham, such as Hope. Share this post & spread the love!